– it’s what makes those long drives bearable. But not just any food will do. It needs to be epic, worth the stop in both ambiance and flavor. In our years of criss-crossing the US we’ve found a few restaurants that are worth a return visit – or even a detour from our route! This article, written for The Scenic Route at GoRVing.com features the best road trip food we’ve found. Anyone ready to hit the road? Pops on Route 66: Best known for their large selection of sodas, sparkling waters, and other chilled beverages (there are over 700 to choose from!) 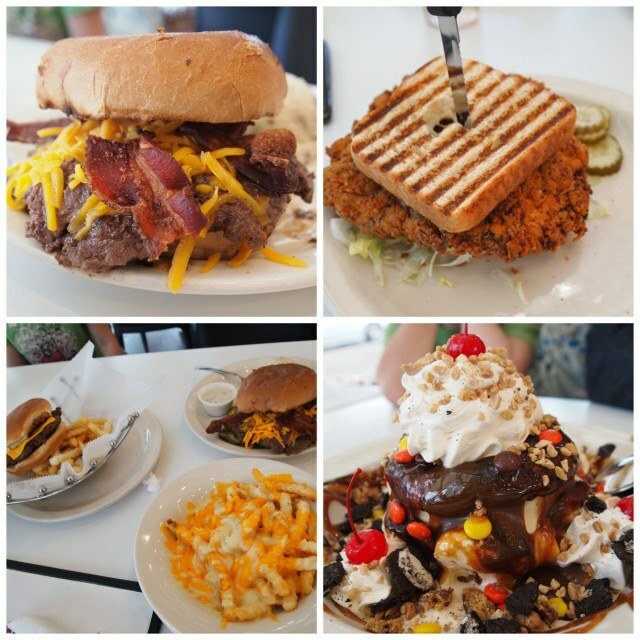 Pops’ kitchen turns out tasty meals, while the shake shop blends thick creamy concoctions, and creates floats from the nearly endless supply of sodas.